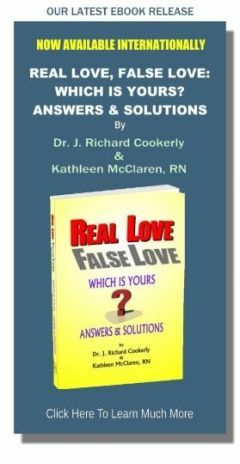 Synopsis: This mini love lessons starts with an explanation of additive talking and subtractive talking; shows how truth need not be sacrificed for being additive; and then goes on to discuss the four major things that need to be focused on to make your talking with loved ones additive and not subtractive or neutral. When you are talking with someone you love, is most of your talking additive, subtractive or neutral; do you know? Additive talking and communication tends to enrich and strengthen love relationships. It also usually helps the participant’s sense of well-being, assists both people to feel better for the experience of interacting, contributes to feeling personally enriched and stronger, and assists both in feeling positive about and toward each other. Furthermore, it brings a sense that relating to each other is of value and it is worthwhile. Subtractive communication does exactly the opposite. Neutral, or ‘zero’ type communication as it is sometimes called, tends to have zero or slightly negative, emotional impact effectiveness. Every communication you have with a person, especially in more personal relations, is thought to have an additive, subtractive or neutral effect in the limbic system of the brain. Communicating your truth, the facts as you see them, your opinions, perceptions and understandings, etc. can be conveyed in ways to make your communications more lovingly additive without altering the essence of those truths. Remember, all things can be said with love. Plus, making your communications more additive is very likely to assist your loved ones improve their reception of your messages. Subtractive communication tends to be tuned out, automatically resisted, devalued and discounted. It also may cause your loved one to avoid you or be argumentative. Neutral communication may be perceived as impersonal, emotionally distant and sometimes non-loving, mechanical, dull, boring and of little personal consequence. When talking with a loved one is your talk usually making the relationship grow, shrink or neither? If you want to be additive and help your love relationship grow, there are four things to focus on. Each of these four things can make your talk additive and, therefore, more positive, powerful and effective. First is your word usage style and habits. Everyone has one or more talking styles. Some talking styles are love constructive, others are love destructive and still others are love neutral. Second is your voice usage characteristics. This includes things like voice tones, volume, speed of talking, accent and pronunciation clarity. Third is your motion/emotion presentation. This involves your facial expressions, gestures and posture messages – all are likely perceived and interpreted subconsciously by a loved one who is listening to you. Fourth is the subject matter you tend to talk about. If your topics are perceived as interesting, fun, enriching, etc. you probably are talking in an additive way. If they are seen as ‘downers’, criticism, false, negative, etc. you probably are talking in a subtractive way. Neutral talking can be okay, but too much of it tends to have a negative effect eventually. If you want your communication with a loved one to be additive, positive, constructive, and have a really good effect you will do well to give thought to these four factors. Most of us have a talking style which is similar to the one we experienced when we were growing up. With purpose and practice it can be changed for the better. Here are some common examples to help you understand what is meant by word usage style and habits. If you ‘gripe and complain’ more than you ‘praise and compliment’ you may have a more subtractive than additive style. If your habit is to start statements with the word “no” that is likely to have a minor, subtractive effect. If you commonly mention more things that are focused on defeat, trauma, tragedy and downer topics than ‘up’, positive topics, your habitual word usage style slowly is likely to have a cumulative, subtractive effect. If you commonly include talk about your loved one’s successes, attributes, victories, positive growth, etc. more than you mention your loved one’s deficiencies, difficulties, shortcomings and failures, etc. your style is likely to be having an additive effect. If you repeatedly practice replacing the word “but” with the word “and” you will have a surprisingly good, minor, additive impact. For example, instead of saying “OK, but don’t ask me to do that again”, you might say “OK, and I would like us to find another way to do that next time”. If you learn to have a speech habit which includes frequently saying things like “as I see it…”, “my memory is…”, “I may be wrong, however, my perception is…” you are likely to be additive. If you start your statements with the word “you” followed by an affirmation or compliment you are being additive. If you start your statements with word “you” followed by mentioning a deficiency, a shortcoming, a mistake, etc. you probably are being subtractive. There are hundreds of other problematic or additive speech style factors. Hopefully these examples can give you some idea of what to look for in your own speech style and habits. Some people sound angry when they are not; others sound wimpy and some others sound indifferent. Some just lack practice sounding loving, kind, pleasant, cooperative, etc.. Some people are really good at sounding tender, sweet, powerfully caring, etc; this probably is because they have worked at it. You can too. Are you good at smiling at your loved ones? Do you greet them with open arms? When talking, do you look straight into your loved one’s face and often nod as you hear what they are telling you? A great many facial expressions, gestures and posture changes can convey that you are emotionally positive toward the person you are talking with and that can send a very additive, emotionally positive message to them as they talk. ‘Stone faced’ non-expression usually is interpreted as something negative and, therefore, is subtractive. Scowling, frowning, rolling your eyes, and most of all hate looks can be very subtractive. Similarly, clenching your fists, turning your back, pounding your fist, stomping off and the like usually are subtractive. Are the subjects you usually talk about with your loved ones more frequently helping them feel good or feel not good. This is a matter of balance. Talk that is additive to a love relationship needs to occur more often than subtractive talking. Additive subject matter can be affirmational, appreciative, uplifting, intriguing, fun, positive, laudatory, joyful and best of all loving. This doesn’t mean serious, problematic and more downer topics are to be completely avoided. It just means that it usually is best for them to be in the minority. There are times when subject matter may be about something painful or problematic but the way of talking about it is quite additive. Offering emotional support, commiseration, shared angry venting, joint catharsis and voicing care are examples of this. Talking in ways that attempt to dodge painful topics, difficult feelings and the like, sometimes can be quite subtractive. However, if dodging the difficult gives relief sometimes it may be additive. Semi-sarcastic putdown humor, kidding, reverse meaning statements, etc. can be additive if the person hearing them knows how to take them as such. Hopefully this mini-love-lesson will help you add additive talking to your repertoire of love skills and bring you and others much that is lovingly positive. Are the people you commonly associate with more additive, or subtractive, or how do you experience the way they communicate and what effect does that have on you ?